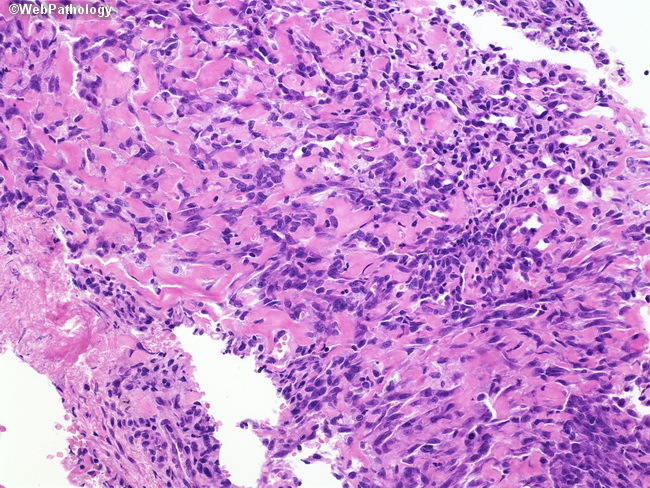 Inflammatory myofibroblastic tumor (IMT) is a controversial entity that has been known by a variety of names. This case was detected in a prostate needle biopsy and shows a proliferation of myofibroblastic cells arranged haphazardly. The stroma contains abundant collagen and scattered inflammatory cells.